The Red Wings have announced the team’s promotions and game-night themes for the 2018-19 season. Five Bobblehead Nights, starting with Tyler Bertuzzi on Nov. 28 against St. Louis. The other bobbleheaded players haven’t been announced yet. Knight Scarf Giveaway on Nov. 1 vs. New Jersey. Orange Hat Giveaway on Nov. 9 against Columbus. 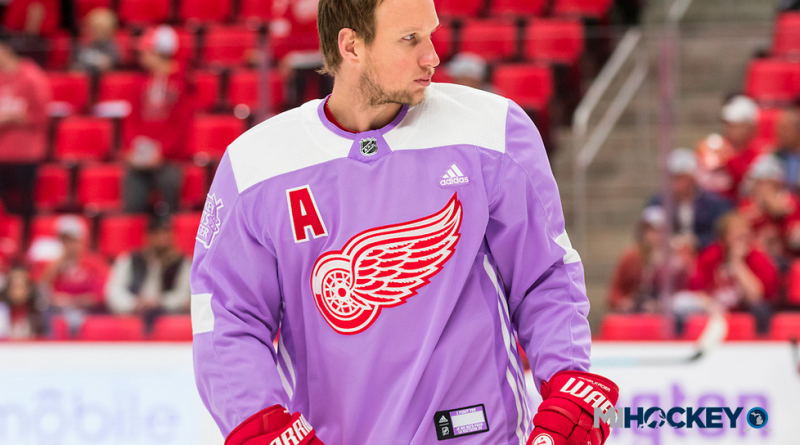 Hockey Fights Cancer Awareness Night on Nov. 13 against Arizona. Ugly Sweater T-shirt Giveaway on Dec. 14 vs. Ottawa. Military Appreciation Night on Jan. 15 against Anaheim. St. Patrick’s Day T-Shirt Giveaway on March 16 vs. the New York Islanders. Red Wings Garden Gnome Night on March 20 vs. New Jersey.